Are you craving for speed and hungry for excitement? Are you up for a nerve-wrecking yet breath-taking adventure? 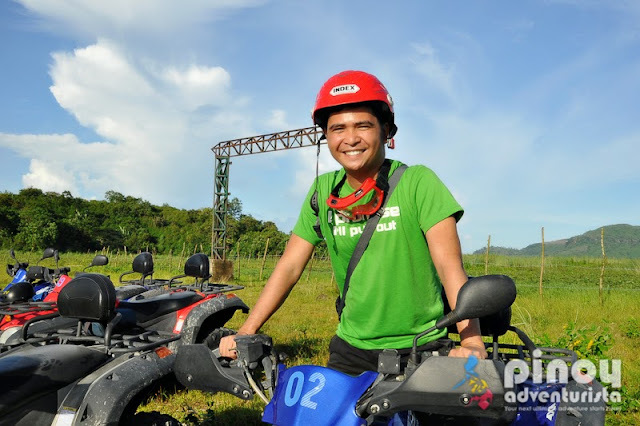 Go for a "one of a kind adventure" that will test your limits for speed as you tackle the breathtaking Mt. 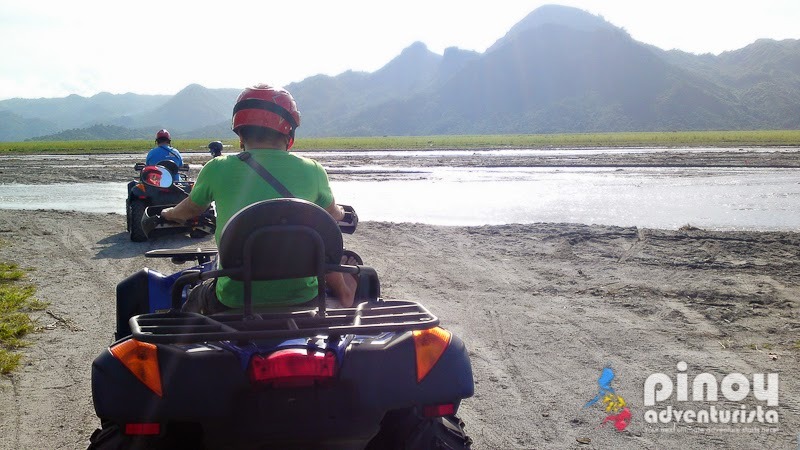 Pinatubo trail on an all terrain vehicle! 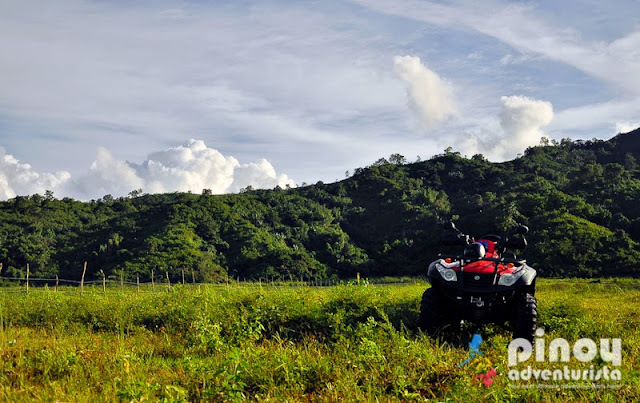 The Capas ATV Adventure is the only ATV touring facility to operate in the vast Mt. Pinatubo lahar trail. 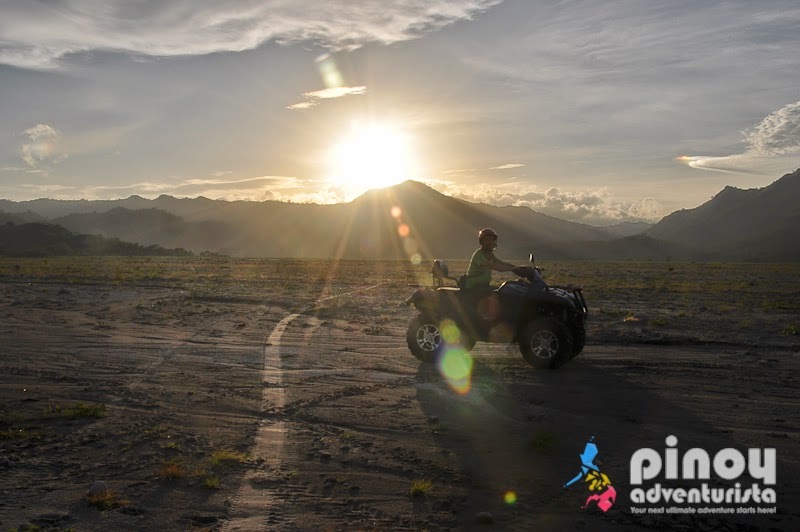 What used to be a reminder of a powerful and destructive volcanic eruption was turned into an adventure seeker's playground! The ATV ride takes about 2 hours via the Tambo Lake route. It makes you experience traversing on mud, river streams and on rocky and dusty terrains leading to the scenic Tambo Lake. 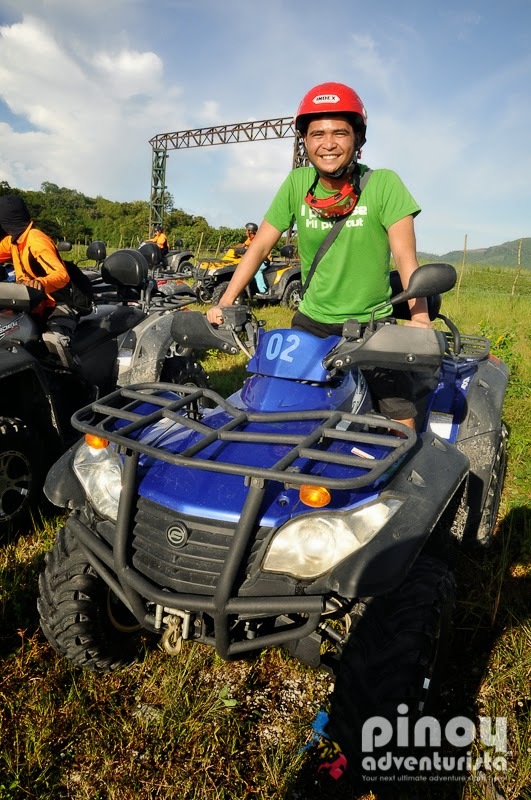 Can you imagine how we sped up, navigate through the trail and enjoyed an exhilarating ride? It's an awesome experience and you should experience it for yourself! 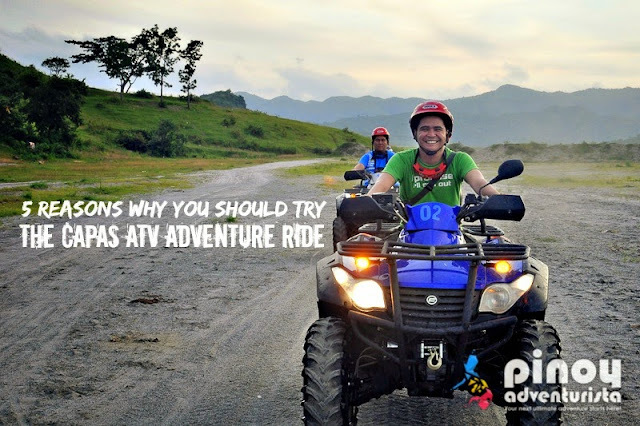 If these are not enough to convince you to pack your bag and take a bus to Capas, here's my list of 5 reasons why you should try the Capas ATV Adventure Ride. 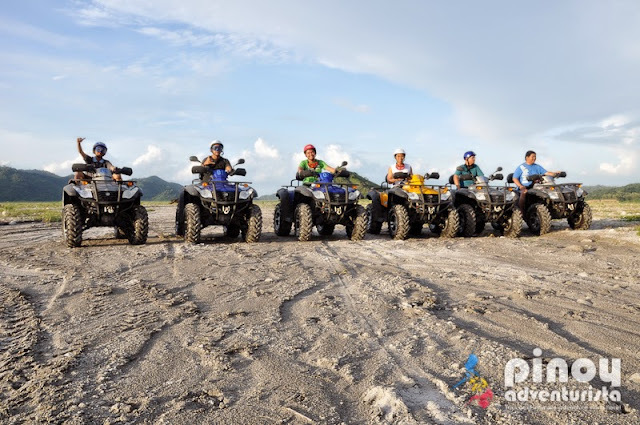 The town of Capas in the province of Tarlac is just 3-4 hours away from Manila. Located in Sta. 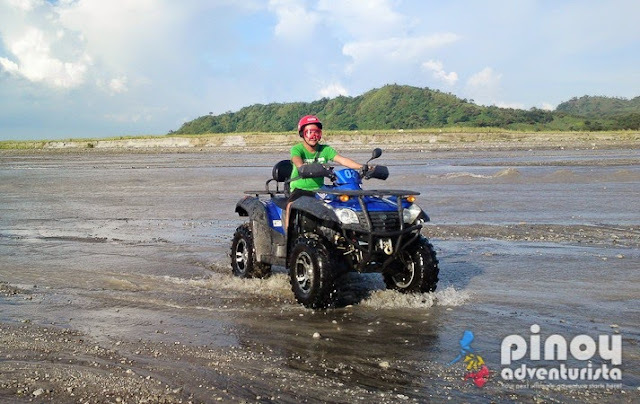 Juliana, you just need to take a bus from Manila and alight at Capas and then hire a tricycle to the Capas ATV Adventure. 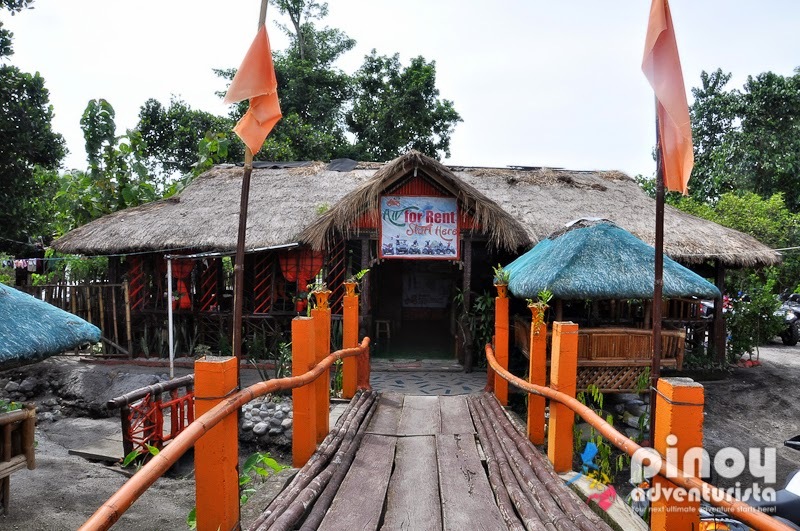 It is located just in front of the tourism office where you register when trekking to the Mt. Pinatubo crater lake. Along the trail, you'll not fail to notice the jaw-dropping sights of the mountains, river streams and lahar-covered hills. The dusty and rugged terrain of the valley affords a gorgeous and unique landscape. The breathtaking sights of endless stretch of rock cliffs and formations that seem to blend together is truly remarkable. One should see these picturesque landscape even once in his lifetime. These sceneries is enough to make you pull over for that much-needed photo opportunities, which I did for a couple of times. Hahaha! 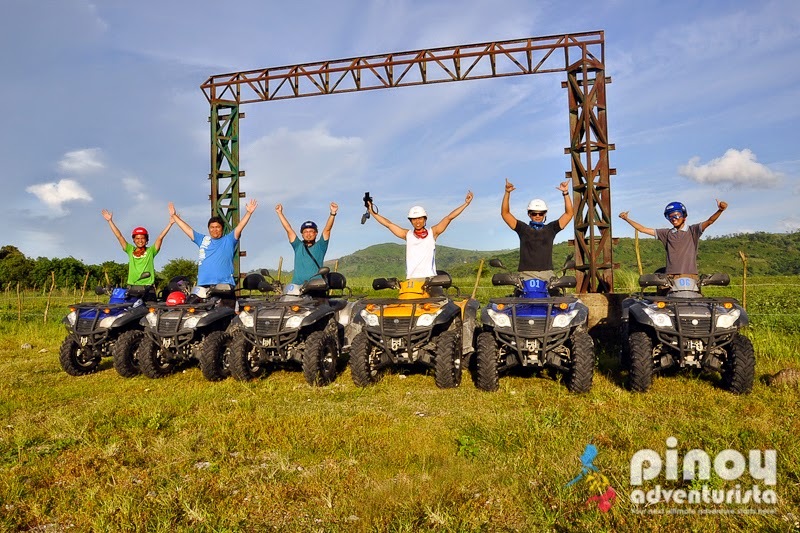 Capas ATV Adventure uses a 500cc-engine vehicle which is of top-notch condition. 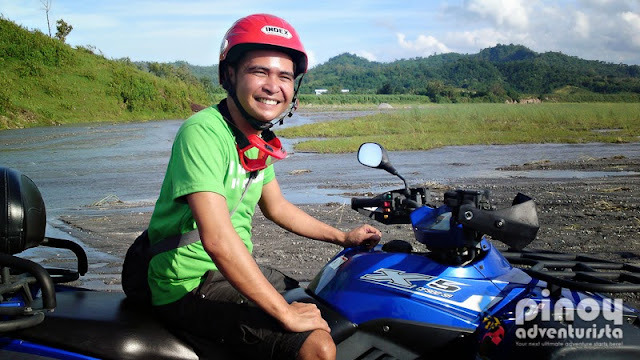 It's so easy to maneuver that even a first-timer (like me) can speed up and control the vehicle on any terrain as it has options for 2-wheel drive and 4-wheel drive. The vastness of the uneven terrain will not hinder you for that much-needed speed and crazy ride. You will certainly rev up for speed as you tackle the total of 18-kilometer trail. The dirty and water-plunging ATV experience make this ATV ride one of a kind. 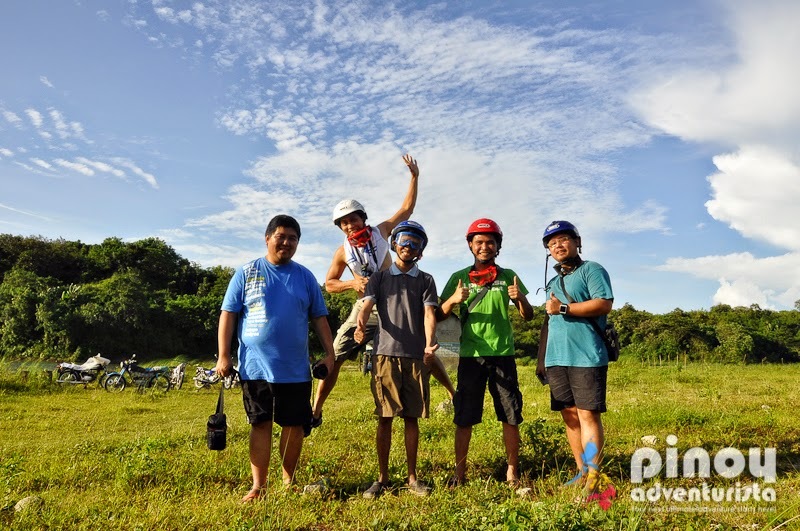 Expect to get wet and dirty as you tackle the rocky, uneven and dusty Mt. 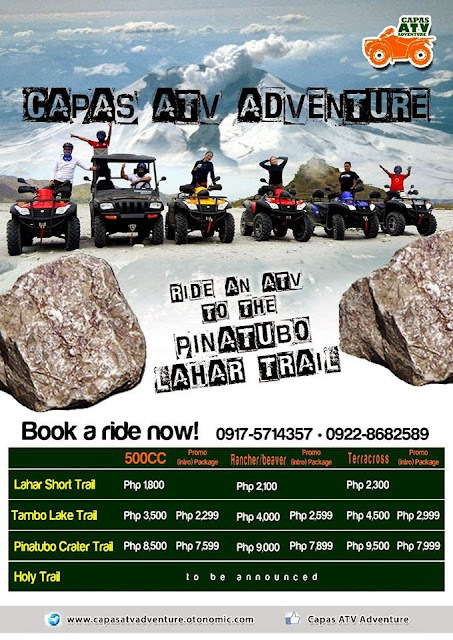 Pinatubo lahar trail. 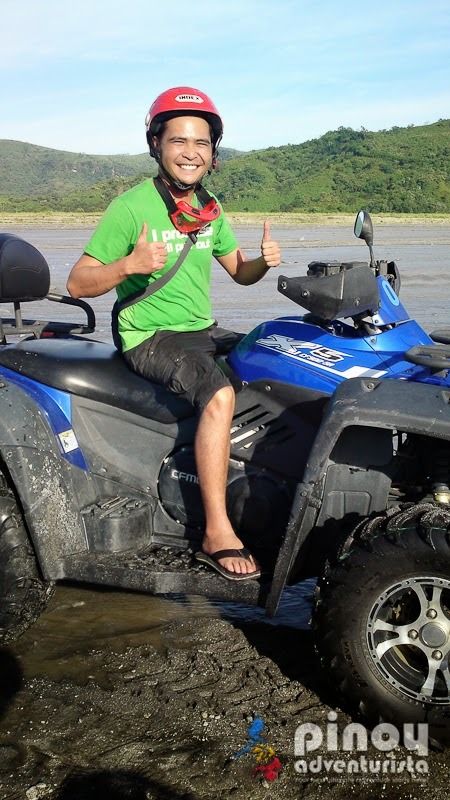 This what makes the Capas ATV Adventure so much fun! It is an overwhelming experience to speed up and do it with the rest of your friends. Needless to say, we were so happy as we had a crazy and exciting ATV adventure ride. As they say, "Life is either a daring adventure or nothing at all." Go on an adventure that will certainly be an experience worth remembering for the rest of your life! Experience the Capas ATV Adventure Ride! 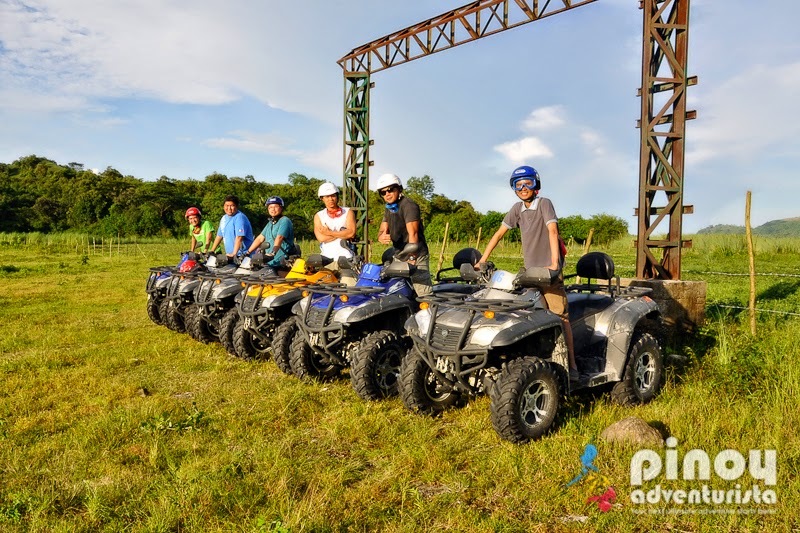 Disclosure: This experience was sponsored by Capas ATV Adventure. Thank you! Note: 6th photo is courtesy of Joshua Chan. Thank you!